We would like to share with you one of our favorite and, no doubt, most popular itineraries. 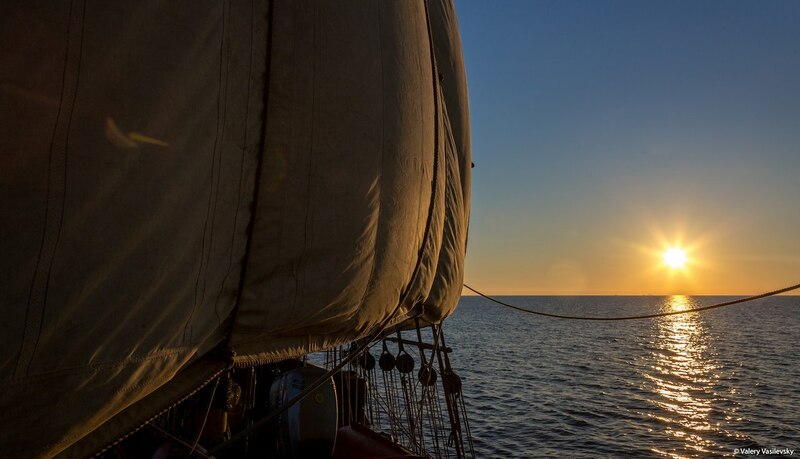 Sailing the Strait of Gibraltar is the key note of our voyage south, to the Mediterranean Sea. 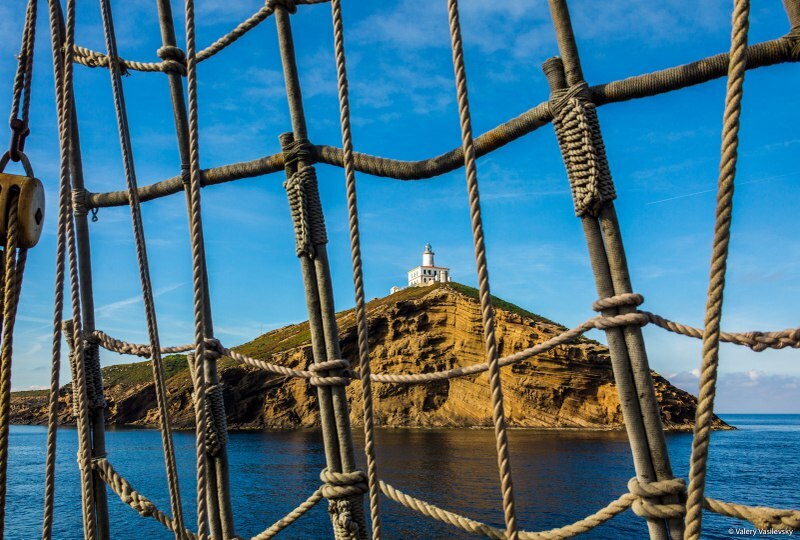 This legendary route is just perfect for sailing a historical tall ship. We get to take a look at the stronghold that has been fought over by the most powerful empires in the world. The strait is still very much in use, and the city-state of Gibraltar looks like it has been brought to Europe from Caribbean by some mysterious power. Having left ancient warm Porto we’ll experience the real winds and swell of the Atlantic. After a full measure of that furious power, we’ll round Cape Roca, yet another “land’s end” along our route. Luís de Camões, the famous Portuguese poet, said that it is “Aqui, onde a terra se acaba e o mar começa [here, where the land ends and the sea begins]”. If we time it right, we’d get a chance to climb to the crow’s nest and see the sun sinking into the ocean and painting our sails mild orange. We’ll most probably stop in Cascais for the weekend. It is a Lisbon suburb and a resort, both cozy and beautiful. And then we’ll challenge the Atlantic Ocean again, so don’t let your guard down! We’ll round Cape Saint-Vincent, white with raging swell. A light house on top of it is like a living memory of the Age of Discovery. And we’d have everything it takes to imagine ourselves being the great seafarers of the past, sailing into the unknown. Weather allowing, we’ll stop by one of the small southern towns (Portuguese or Spanish): Portimao or Rota. But we might also return straight to Gibraltar. 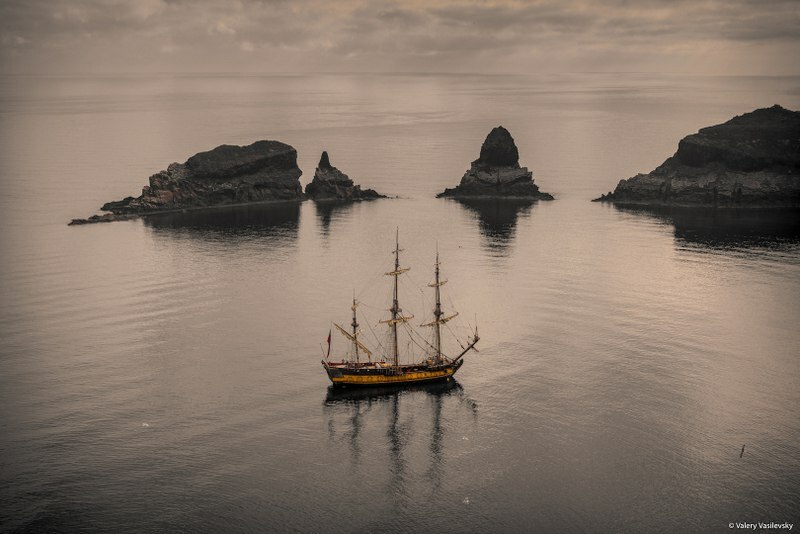 Not so long ago the Strait of Gibraltar was full of mysteries for us, but now we know it well and we have quite a few things to show to the new crew. Tall rocks from which you can see both continents at the same time, the line between the sea and the ocean, ancient fortifications, suspension bridges and deep caves. After studying the Strait of Gibraltar in detail, we’ll dock in Málaga, a port, a resort and the homeland of the famous Picasso. Trains depart from Oriente hub in Lisbon and arrive to Campanhã hub in Porto. Buses depart from Oriente or Sete Rios hub in Lisbon and arrive to Campanhã hub in Porto.